So it’s been a very busy month for me, and I’m spread a little thin over a couple of different opportunities. But that’s a good thing! First and foremost in my mind is completing After. The good news on that front is that I will have the first draft off to my editor next week! I’m incredibly excited to get this into your hands because it was not just a fun project to do, I have something very special planned for it that I want to wait for publication to lay on you! I’ve also been doing some Video Game consulting work which has been helping pay the bills, and that has been a tremendously rewarding experience. For the longest time inside Xbox I would be called upon to basically provide the service of being an analyst or consultant for some aspect of a game for the platform. And every time I would toil and provide what I thought was concrete applicable advice only to hear from the other side of the table “Well of course you think that, you want our title to be better on Xbox than PS3.” and watch my hard work get dropped on the floor because I was talking to liaison people for a platform and not the people in charge of making the game the best it can be. Now that I’m doing consulting, they can still drop my advice. But I now I get paid for it, and I know that they dropped it for reasons related to resources or having to make cost decisions not solely because the joker across the table in charge of not playing favorites. Especially since now I can provide my expertise to any platform. It’s very rewarding work. I can see why a lot of people leave XYZ industry and go into consulting. But what I really want to do, is direct! Ok not really what I really want to do is perform! I love being in front of an audience and making them laugh. And alongside this big adventure of leaving the crushing corporate world and trying to do what I want is doing ALL the things. So I have a list for you of my upcoming performances! For those who are not familiar with what I do performance wise, here’s an example, and another, and another. Having said that, I’m so happy to announce I’m a special guest for the Exceptionally Ordinary Variety Tour for their Seattle and Portland shows! I’m also going to be performing fun stuff with Molly Lewis in Seattle! And at Rooster Teeth’s community event in Austin I will also have stuff to say! 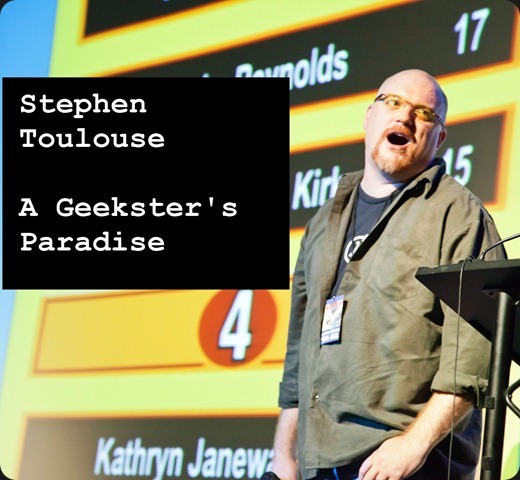 And lastly I will be at w00stock 4.0 at SDCC (note I’m not an official performer at w00tstock 4.0 but will be present as alumni and to do something we had a blast doing last year.) 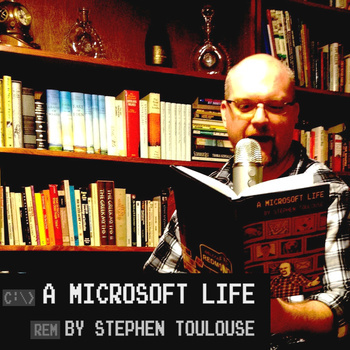 In all cases I will have hard cover and soft cover copies of my first book, A Microsoft Life, for sale and will be signing it. Here’s my schedule! Hey, Stepto, don’t forget about your East coast peeps.